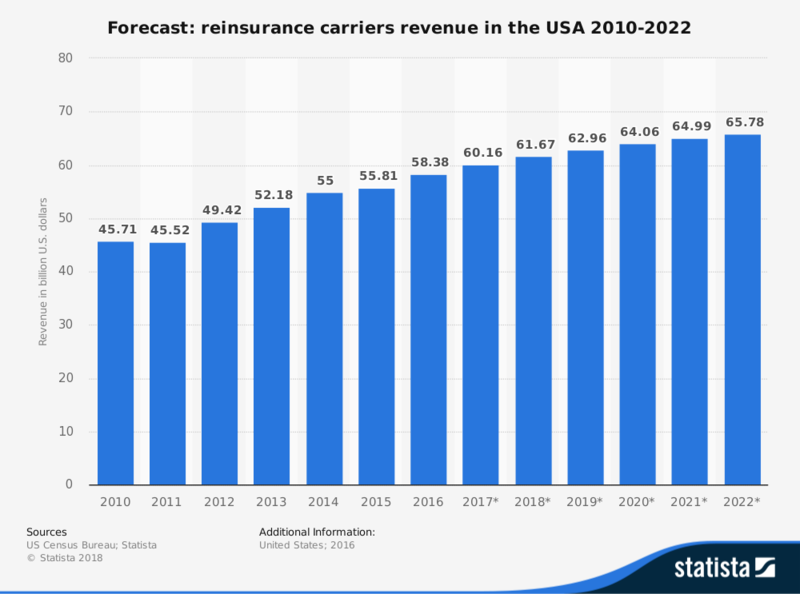 Despite catastrophic losses in 2017, more than 34 insurance companies saw an increase of 7.8% to USD $371 billion by year end. This is more than a ten percent increase from the previous year. Unexpected investment gains are credited with this growth. Profitability is also heavily reliant on expected and realized investmemt gains. While 2017 proved to rise above expectations, it was also a third costliest year behind 2011 and 2005 due to three devastating Atlantic hurricanes in the third quarter. These hurricanes are estimated to have causes more than $200 billion in losses with insurance losses reaching $80 billion. The only issue which may set the reinsurance industry back from its historical progress toward profit is an oversupply of capital. Almost every single global reinsurance company has worked toward expanding their footprint. Target regions for the industry are Latin America and Asia, along with new local or regional reinsurance companies providing services on a smaller scale. This has caused three different segments to develop within the reinsurance industry. There are globalists, multi-local companies, and specialists. Many primary insurance companies have also begun to offer reinsurance opportunities, which has led to even more capital being available in the marketplace. Pricing within the industry has been declining for most lines of business. In the past 5 years, some rate-on-line declines have been up to 20%. Pricing for property catastrophe lines is down by more than 50%. Pressure is mounting within this industry. If a softer market continues, combined with more disruptors attempting to enter the field, then the profits and growth experienced could decline sharply in coming years. The long-term demand for reinsurance, however, continues to be strong, especially in the P&C category.